Longlisted for the National Book Award for Nonfiction An eye-opening memoir of working-class poverty in the American Midwest. Her personal history affirms the corrosive impact intergenerational poverty can have on individuals, families, and communities, and she explores this idea as lived experience, metaphor, and level of consciousness. Smarsh was born a fifth generation Kansas wheat farmer on her paternal side and the product of generations of teen mothers on her maternal side. Through her experiences growing up as the daughter of a dissatisfied young mother and raised predominantly by her grandmother on a farm thirty miles west of Wichita, we are given a unique and essential look into the lives of poor and working class Americans living in the heartland. 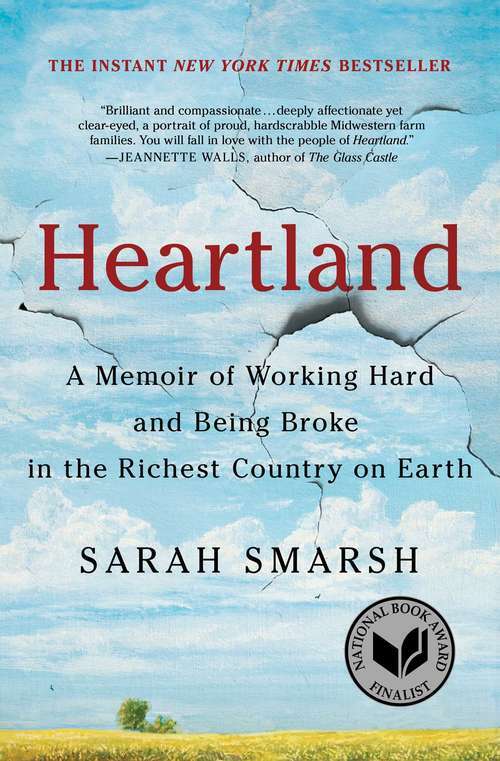 Combining memoir with powerful analysis and cultural commentary, Heartland is an uncompromising look at class, identity, and the particular perils of having less in a country known for its excess.